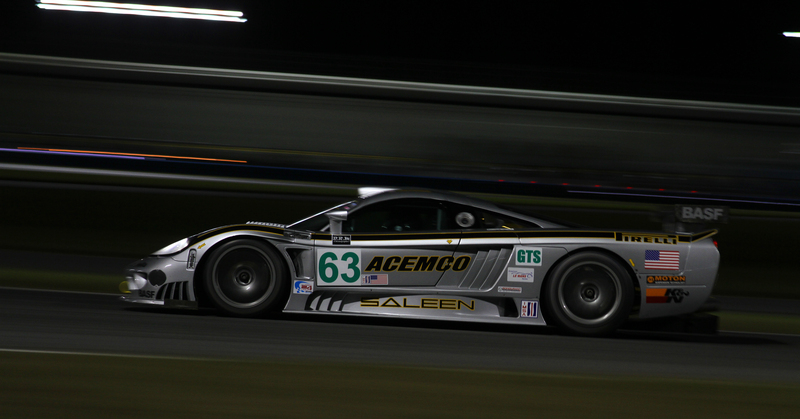 DAYTONA BEACH, Fla.—For more than four decades, the 24-hour race at Daytona International Speedway attracted the biggest names in international motorsports—the fastest cars and drivers from around the world gathered each January in the small seaside city to contest one of the world’s premier sports car endurance races. 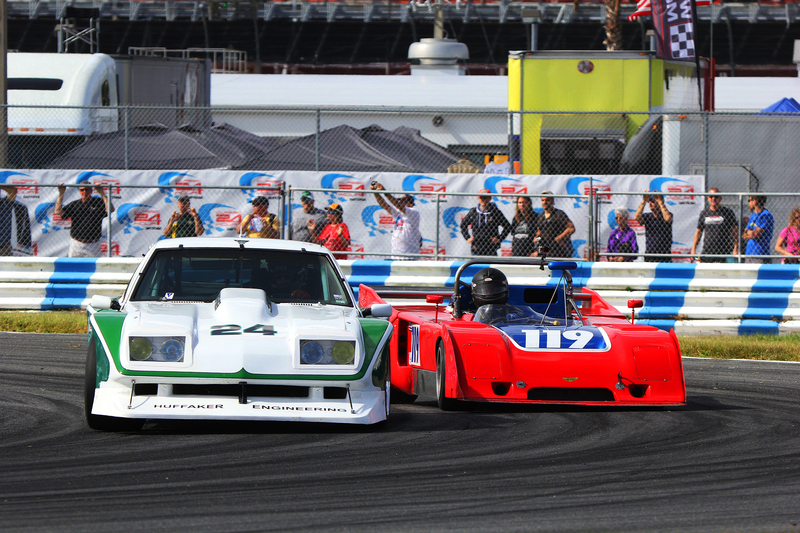 Now with the advent of the Historic Sportscar Racing Classic 24 Hour at Daytona presented by IMSA, those cars and drivers are back on track doing battle. Famous cars from the past and famous drivers past and present came to Daytona on Nov. 11–15 to meet their fans, showcase their talents, and display some of history’s most notable racing sports cars. More than that they came to race—to take these priceless machines out onto the asphalt and to thrash them through the tight infield corners and wind them out on the Speedway’s banking. The drivers and teams came to use these beautiful and valuable cars as they were meant to be used, not as static objets d’arts but as roaring, smoking, sliding, speeding mergers of man and machine, talent and technology, competing to see who could go faster and last longer under the harshest of conditions. These are historic cars, but they are race cars, and for these four days they were back in their element. 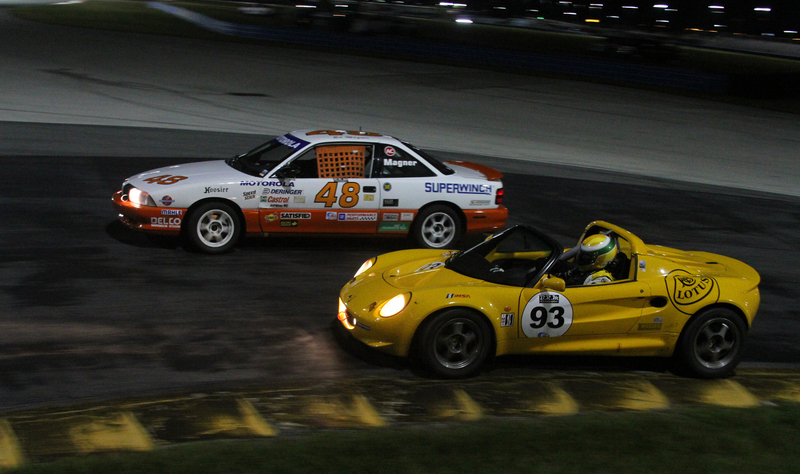 The 2015 Classic 24 was a four-day public event, with HSR group races, the SCCA Trans Am season finale, and Classic 24 qualifying races filling the first two days, November 11 and 12. Saturday and Sunday were reserved for the 24-hour race. While these are indeed racing automobiles, they are also difficult to maintain and repair. One cannot go to the local auto parts store when something breaks—and 24 hours non-stop would be too much for most fifty-year-old people, let alone cars already used hard for so long. 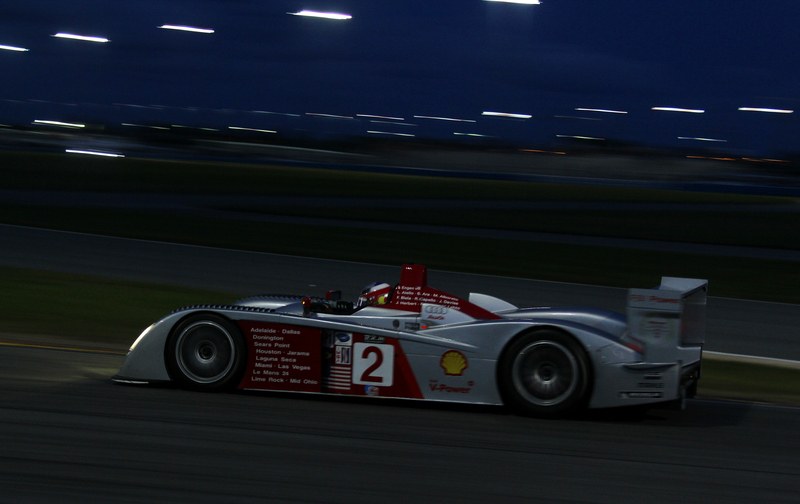 HSR therefore divided the field into six classes, based on era, with each class running for just under an hour, four times during the 24-hour period. This not only saved the cars, crew, and drivers, it ensured that fans got to see full fields—cars which broke during a heat could usually be repaired and return for the next installment. 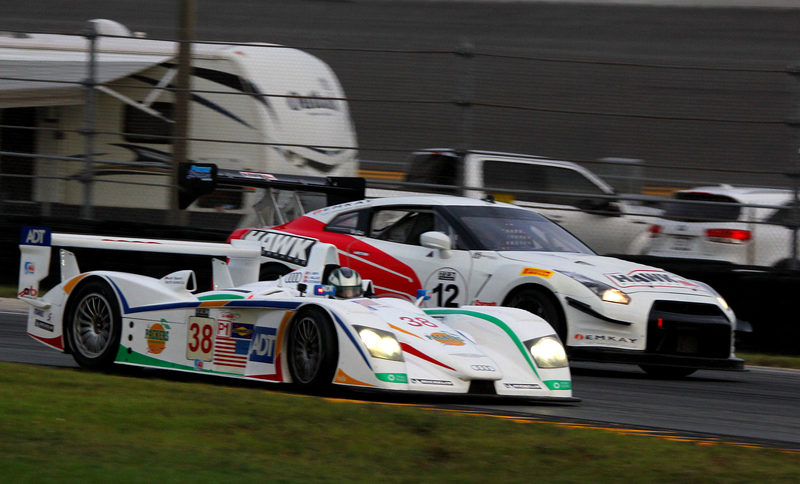 HSR and IMSA made one very important change in format from 2014, which increased the excitement of the racing immeasurably. 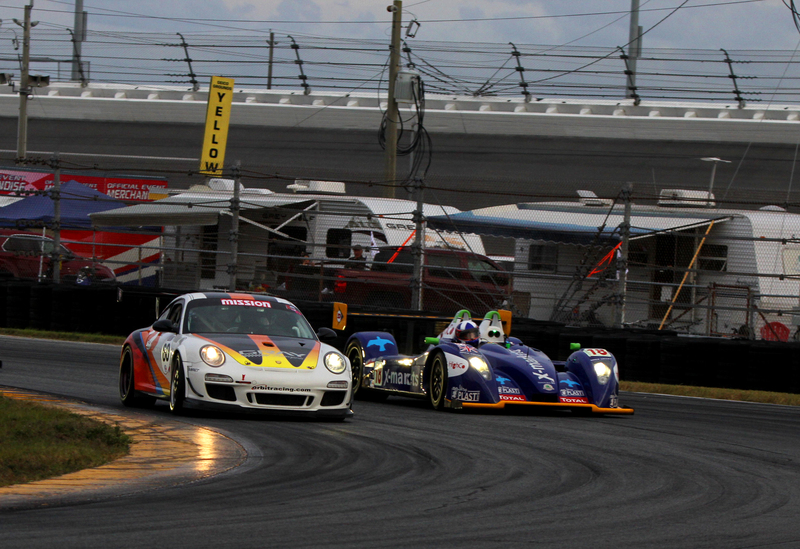 HSR and IMSA divided the into time periods, and ran each time period in its own heat. This meant that there would be full-on prototypes, touring cars, and GT cars on track at the same time, each type with its own level of performance. By effectively making each group race a multi-class race, the organizers ensured that there would be battles within each race, as well as lots of traffic, which kept drivers alert and kept fans more interested. Even when one car in a class opened a huge lead—as with Tommy Dreelan and Aaron Scott the #14 Leyton House Porsche 962 in the final Group C race, or Oliver Bryant in the #69 Shelby 350 in the second Group F heat—there was always drama as these leaders had to cut their ways through the slower cars. Meanwhile those cars were each fighting the other—each class was divided into multiple sub-classes, so every car could have a chance at a sub-class podium. As with all historic races, the cars had special emotional significance for most fans. Some of these were the cars which had first excited those fans when they were children just discovering racing, or personal favorites as those fans were growing up, or were legendary cars which the fans read about and dreamed of seeing. To have a chance to see the epochal machines ion this historic track, in some cases piloted by some of the drivers which made them famous, made each passage of each car on each lap significant in its own right. Add to that the enormous variety of cars and the equal variety of engine notes, the tough competition, and it did not matter if these cars might be lapping a few seconds slower than the most highly developed modern machinery. Even at a few seconds off the pace, the combination of fantastically beautiful automobiles and the historic significance of them, coupled with the sounds and smells of real racing, made the HSR Classic 24 a richer experience than most modern races could hope to offer. 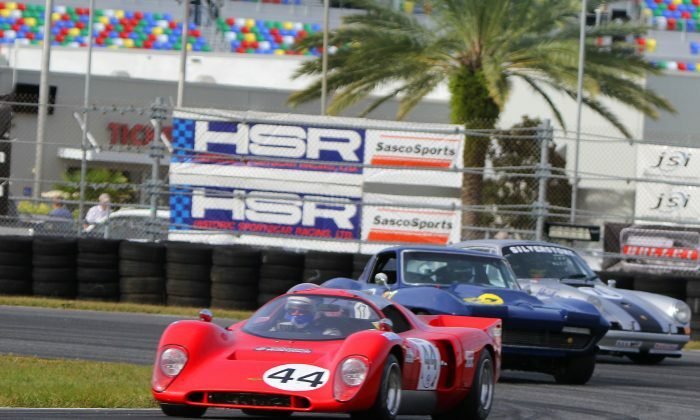 The first HSR Classic 24, run in 2014, was a huge success, attracting over 80 historic racing machines from around the world. The event has been nominated as Motorsport Event of the Year by the International Historic Motoring Awards committee. Famous cars kept in storerooms or showrooms or private collections, rare cars rescued from garages, legendary cars which defined some of the sport’s most outstanding eras, collected at the Speedway to celebrate the development of racing and racing machinery. The race was originally conceived as a biennial event; the cost of transporting those expensive exotic cars around the world and then back for the rest of the historic racing season in their home nations was simply too high—particularly since so many of them would have to be shipped to Europe for the Classic 24 at Le Mans in June. By holding the race every other year HSR knew it could attract a much deeper field. Luckily, HSR and co-organizer IMSA (International Motor Sports Association) decided that a second edition in 2015 would more firmly cement the event in the minds of fans and competitors alike. This decision gave fans an opportunity to attend a truly spectacular event—174 classic race cars representing six decades of competition, and a field of some of the fastest drivers of the past and present, once again battling on the high banks of Daytona for an entire day. Just a partial list of celebrity racers from the past and present driving at the 2015 Classic 24: Jochen Mass, Brian Redman, Bobby Rahal, Danny Sullivan, Hurley Haywood, Gijs Van Lennep, Jurgen Barth, Andy Wallace, Patrick Long, Elliott Forbes-Robinson, Derek Bell, Eric Curran, Leh Keen, Scott Sharp, Jim Pace, Gunnar Jeanette, Dieter Quester, Didier André, Jean Marc Gounon, Jules Gounon, Zak Brown, Richard Dean, Jeff Zwart, Cooper MacNeil, Shane Lewis, Jack Baldwin, and Mike Skeen. The list of cars was equally impressive: Audi R8s, Porsche 962s, a Porsche 906, a 904, a Porsche RSK Spyder, two Greenwood Corvettes, a Dekon Monza, a Jaguar XJR-7, Porsche 935s, Lola T70s, a Lola T212, Shelby GT350s, BMW CSLs, a Saleen S7R, Flying Lizard and Alex Job/Weather Tech 911s … plus a host of other 911s, 914s, a pair of Lotuses, a Panoz … Notable cars from every era turned out for the event. There was more than just racing. There were two drivers’ panels, where notable pilots including Jurgen Barth, Gijs van Lennep, Bobby Rahal and Danny Sullivan told stories and chatted with fans. 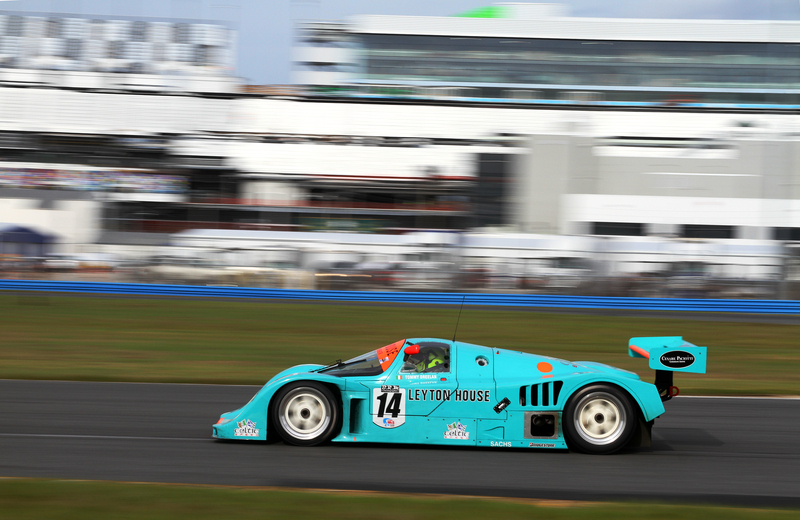 Jochen Mass hosted a fundraising dinner and celebration for Racing for Kids, the official charity of the Classic 24 Hour at Daytona for the second-consecutive year. Mass and friends talked about their careers, took questions, and mingled with fans at a cocktail reception before dinner. On Thursday there was a tribute celebration for legendary builder/driver John Greenwood, with a panel discussion and a reception. For all that, the focus of the event was the racing, and at no time did it disappoint. There was just enough time between heats to grab something from the cooler or head to a restroom, then a new crop of cars was fired up and sent out to compete. Fans set up camp trackside, building fires for cooking or for atmosphere—bonfires weren’t needed for warmth as the night never turned chilly. The days weren’t hot either—intermittent clouds kept temperatures in check. The only downside of the Classic 24 is that it won’t be back until 2017—and even that is alright, if it means another packed field like it attracted this year. 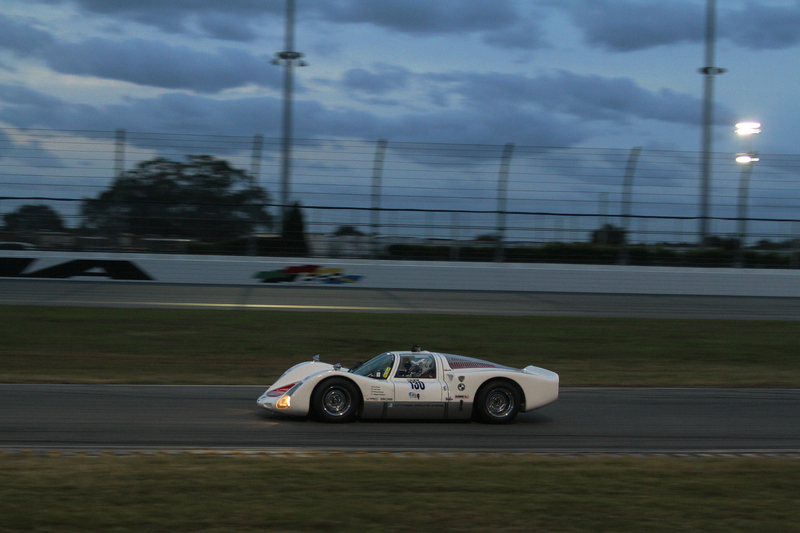 HSR will be wrapping up its 2015 season with the Sebring Historics, Dec. 3–6 at Sebring International Raceway, featuring night racing, sprint racing, and wrapping up with a four-hour enduro. Tickets are available through the HSR website.